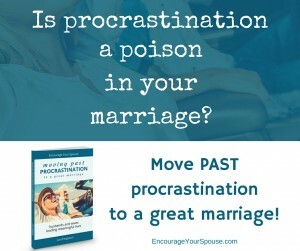 Hello – welcome to “Encourage Your Spouse”! and it’s been a great ride! We’re a husband and wife team, who write about marriage on “Encourage Your Spouse”. 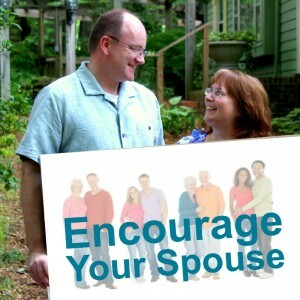 Lori began writing about encouragement in marriage in 2008, here on Encourage Your Spouse, and Robert wrote about values – including values in marriage – over on his website, FergusonValues. In the fall of 2014, we decided we would collaborate, and both of us would contribute here. 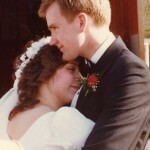 A quiet moment on our wedding day – 30+ years ago! We’ve been married for more than 30 years, and have 3 grown children. And a grandboy. Why are we writing about marriage? Support: We want to support husbands and wives, because marriage can be hard. Our society doesn’t do much to make it easy for marriages to thrive. We also want to bring honor to the role of husband and wife. Enrich: We seek to enrich marriages, so men and women can first imagine, and then plan for and take action to have a positive impact on everyone around them; kids, parents, siblings, communities and countries. How do you encourage your spouse? action – putting your activities into the mix. Being a help. What else do Robert & Lori do? You can also find us at Leadership Couples – there we both write about leadership, specifically for couples who are in leadership together. Having a shared set of values – unique to you and your spouse – is so important to a strong marriage. Values help make decisions – if you weigh what you do, or don’t do, according to your own shared values, your decision making process is easy. 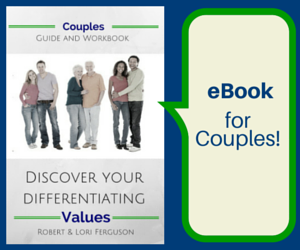 We wrote an eBook/Workbook, which includes an audio version if you prefer to listen, about Discovering Your Values as a Couple. (You can find more about it here.) At the end of the book is our own manifesto on our shared values: Loyalty, Optimism & Discovery. The decision to travel with our truck and 5th wheel grew from the value of Discovery! How can we encourage you and your spouse? We invite you to receive emails to encourage you – we write at least once a week on a topic which we hope will encourage you in your marriage, and enrich your lives. 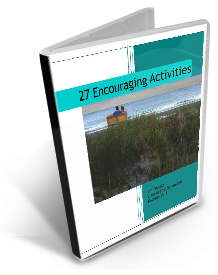 To thank you for connecting, we’d also like to give you a free resource – an ebook (pdf) “27 Encouraging Actions” to get you started. Or reach out with an email! If we’re in your area, we’d love to meet you. 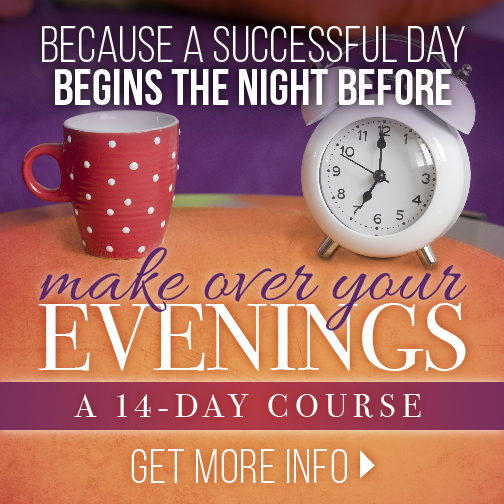 We look forward to encouraging you – online or in person!